Running a recycling program in a large residential building can be a labor-intensive, time-consuming process. Take cardboard recycling: Unlike single-family homes with curbside pickup, a large apartment building can accumulate hundreds of boxes each week, which can quickly overwhelm maintenance and storage areas. 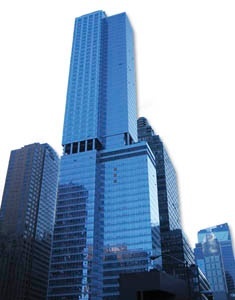 One building, The Orion, a luxury condominium on West 42nd Street in New York City, found a convenient, space-saving solution - compacting and baling cardboard boxes and plastic packaging using a multi-chamber cardboard baler. The Orion has 60 floors of apartments, which adds up to approximately 550 residents PLUS retail space. Every time a resident makes a purchase or has something delivered, he or she is adding to the ever-growing cardboard pile. The building’s superintendent was faced with an age-old problem: Finding space to store the building’s trash and recycling material, while also reducing trash removal costs. Garbage day in New York City is not easily missed. 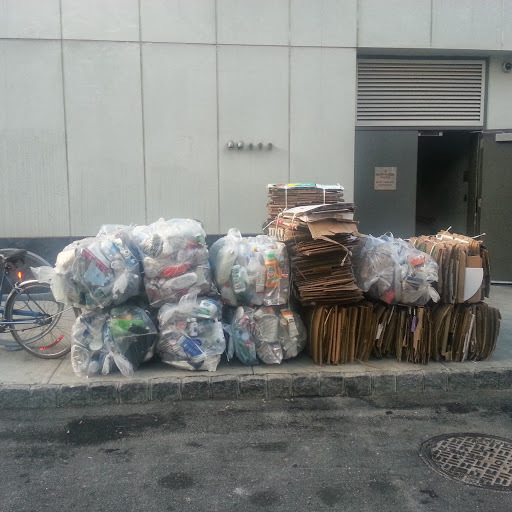 Given that 42nd Street is a major tourist thoroughfare in the heart of Manhattan’s theater district, The Orion wanted to minimize the amount of trash its building was putting out at the curb. They realized the large piles of cardboard were not only creating an eyesore on the street, they were taking up too much space on the sidewalk and were costing too much to remove. They were often faced with fines and additional fees related to the unsightly trash. Premier Compaction Systems, an authorized dealer for Orwak North America, a world leader in baling and compaction solutions, introduced The Orion maintenance team to the Orwak 5070, a top-loading multi-chamber baler that crushes and bales boxes. It can condense up to 100 boxes into one easy-to-maneuver bale. A building porter can simply pile boxes into the machine, compact them with a flip of a switch, and then create a neat bale that can be moved from the baler to a recycling stack using a dolly. 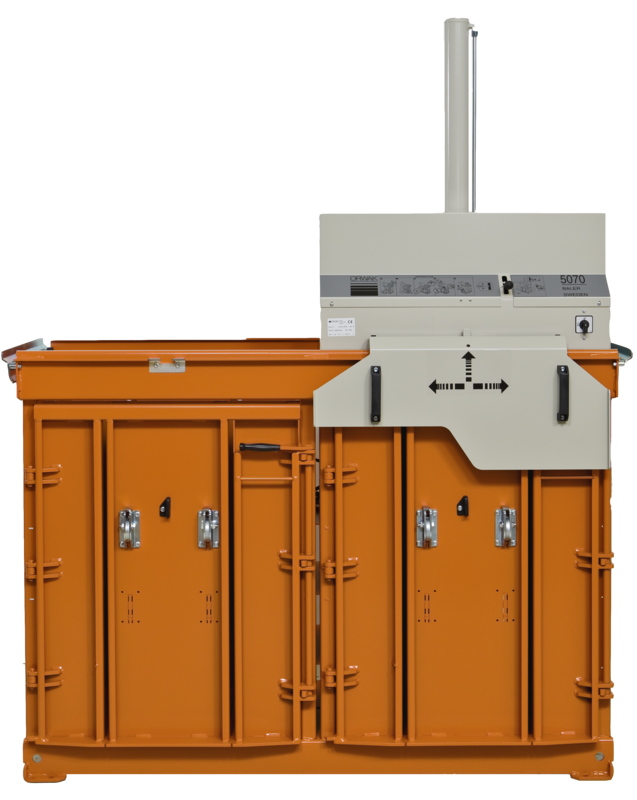 At any time, The Orion can use one side of the Orwak multi-chamber baler for cardboard and the other side for plastic. If the building’s recyclable material increases over time, the machine has the capacity to add more chambers. It also runs on single phase power which makes it very easy to install. Once The Orion began baling the building’s cardboard on a regular basis, there was no longer a need to reserve space for boxes. As a result, they saved 3,000 square feet of valuable space on the building’s ground floor. The building rented out the newly freed-up space to a green grocer, which added to the company’s revenues. In addition to newly found revenue from renting the ground floor, The Orion also gets PAID for the cardboard bales. So instead of paying to have the cardboard removed, they get paid for the cardboard bales. The Orion is also saving thousands of dollars each month in trash removal costs due to less pickups. The new process is also helping The Orion avoid fines and fees by keeping them in compliance with NYC city’s strict regulations.